This book is the autobiography of Tiwanda Gail Lovelace. This is compilations of events in my life, which include some accomplishments, trials and tribulations that have made me who I am today– A True Survivor. This book will address the many struggles faced as an Outcast, a Black Woman, a Wife, Mother, and as a Writer/Lyricist. 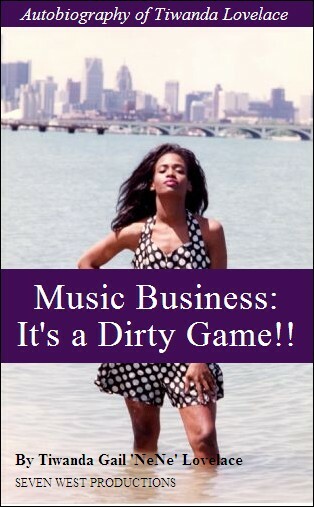 This book shows step by step, the tactics used to steal lyrics & melodies, intimidation methods used to coerce, and how major music companies attempt to outright steal the lives of struggling artist." "This book contains supporting documentation; contracts with Zomba (major music publishing for Jive Records), copyrights, public records, court documents and personal dated journal entries that cannot be disputed nor denied."